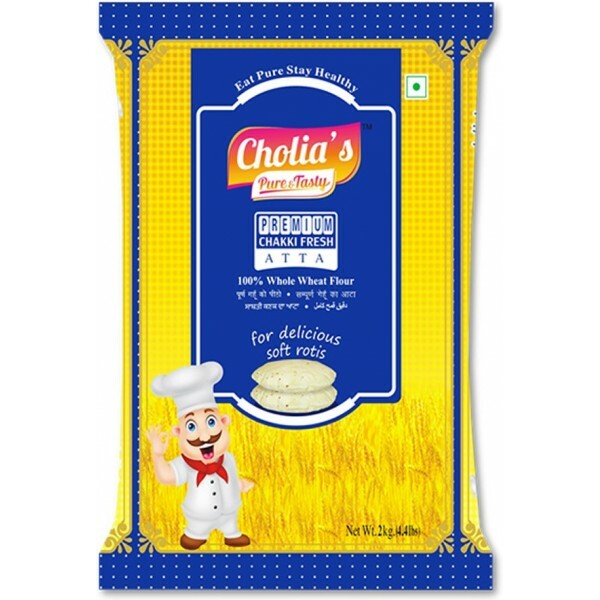 Cholia's pure & tasty PREMIUM Chakki fresh Atta. 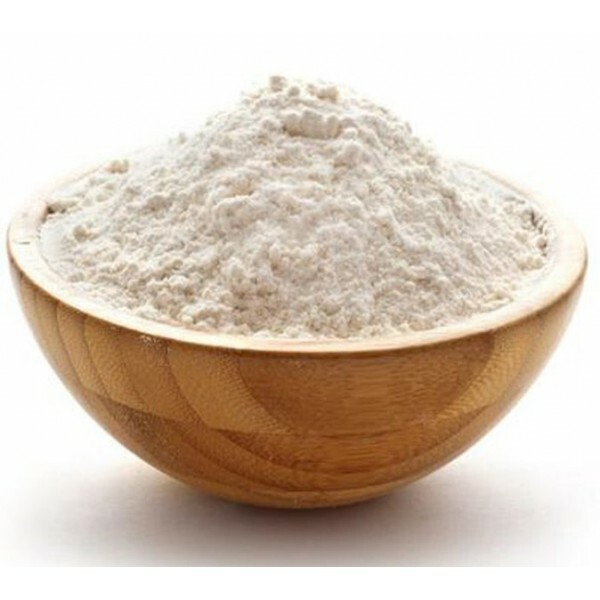 100% Whole Wheat Flour is milled from sortexed lokman wheat for preparation of soft, flat & leavened bread. 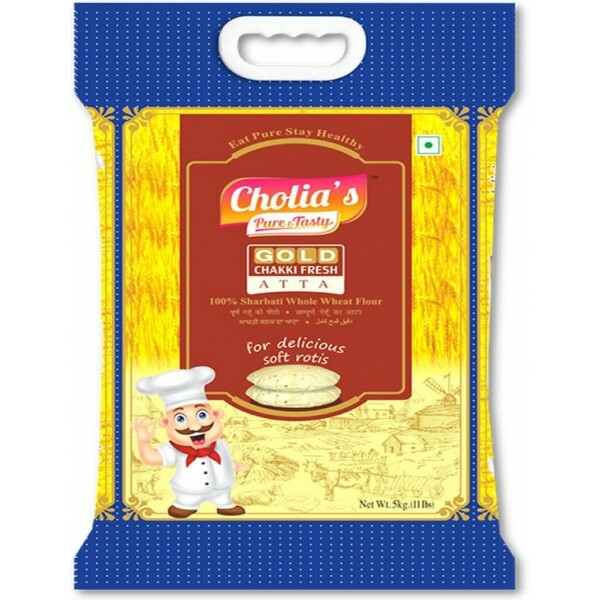 Cholia's pure & tasty GOLD Chakki fresh Atta. 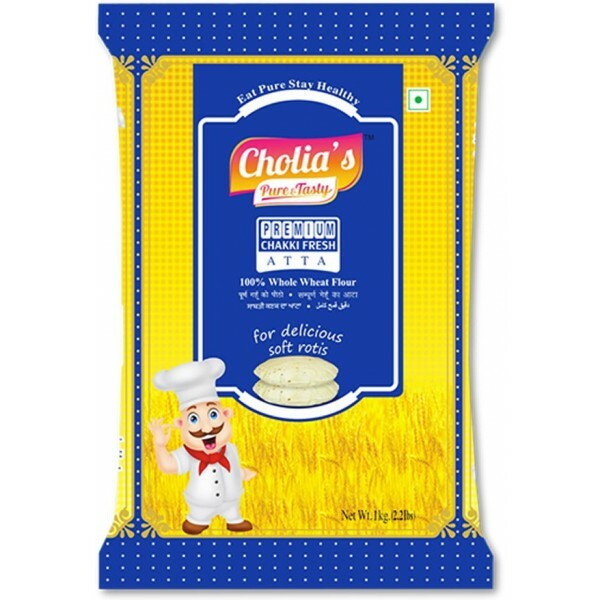 100% Sharbati Whole Wheat Flour is milled from pure Sharbati wheat, which has a characteristic aroma and value addition in the preparation of soft and good quality flat breads. No need to sift. Ideal for cakes, scones and biscuits. The best of British baking. 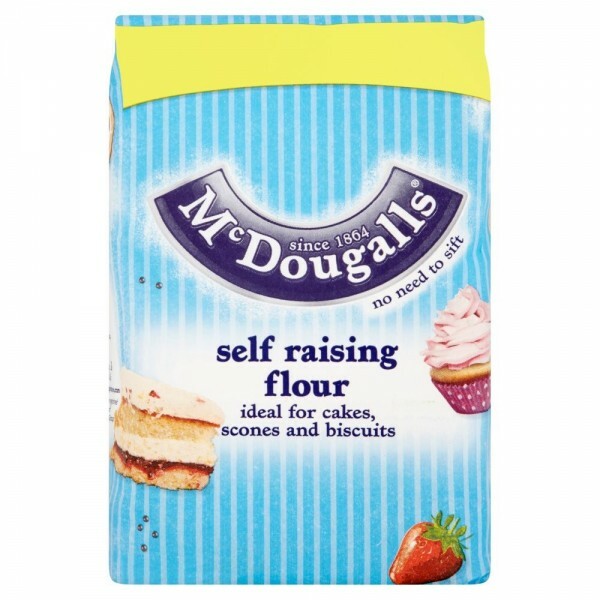 McDougalls quality wheat makes flour so fine and light, there's no need to sift. 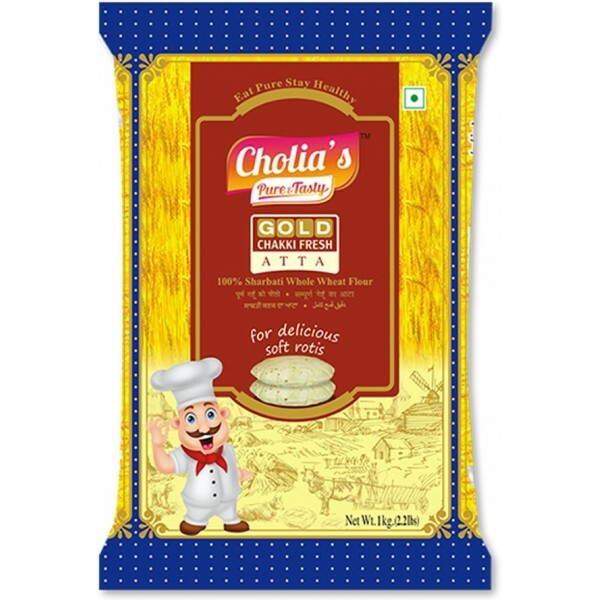 Pack of 1.25 Kilograms. 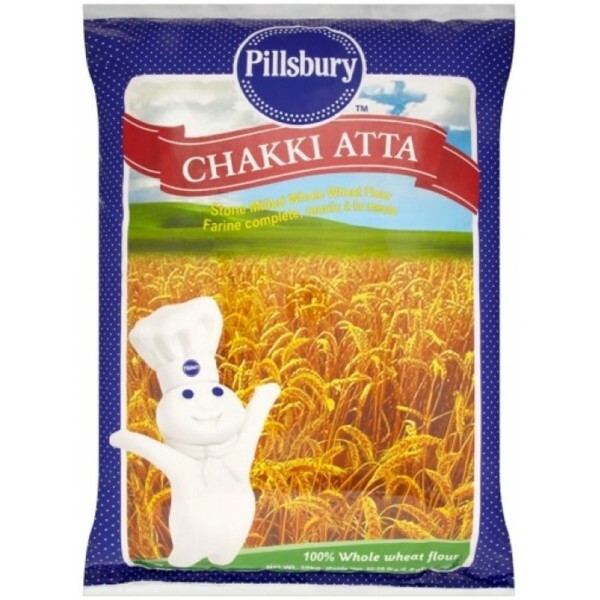 Pillsbury Chakki Atta (100% whole wheat flour). 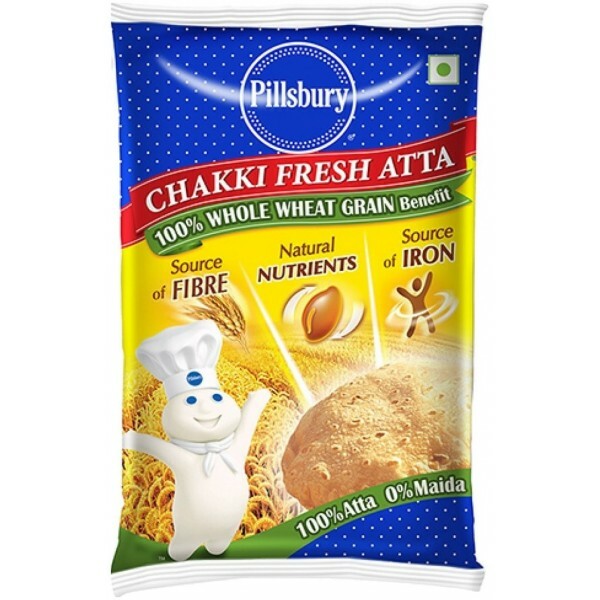 Pillsbury Chakki Fresh Atta is 100 percent whole wheat grain atta with fibre - which is important for a healthy digestive system. 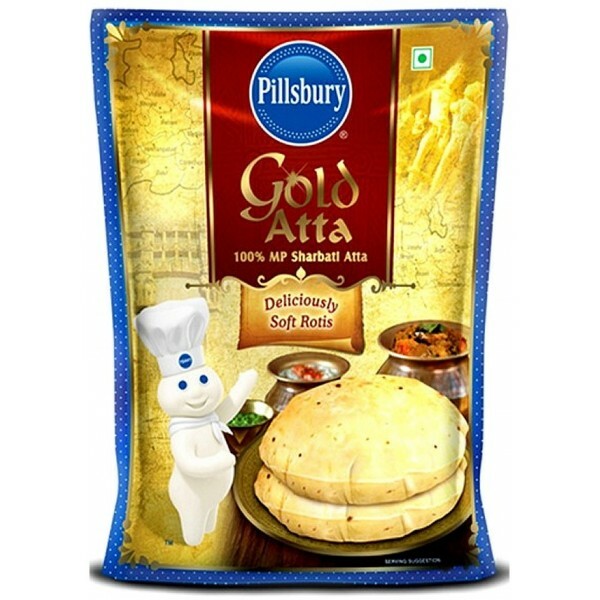 Pillsbury Gold Atta is 100 percent whole wheat grain atta with fibre - which is important for a healthy digestive system - natural ingredients for overall health and vitality, plus iron, which acts as a carrier of oxygen in the body. 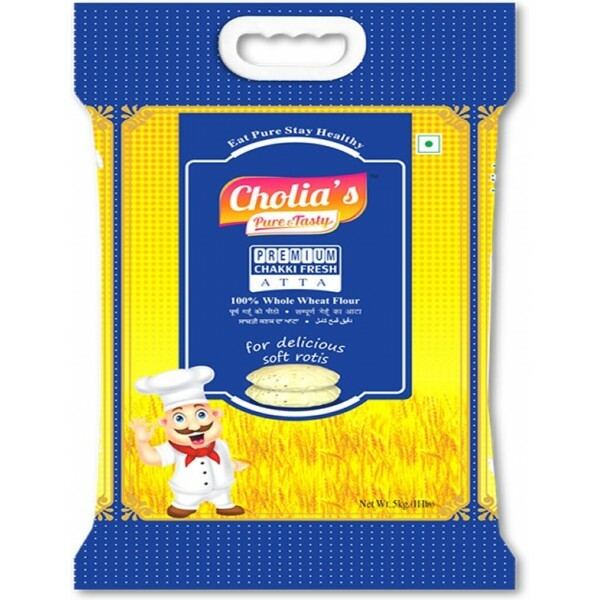 Pack of 1KG. 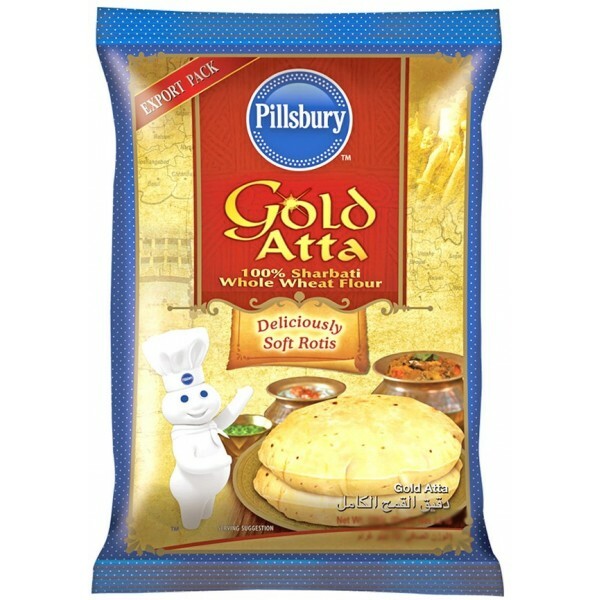 Pillsbury Gold Atta is a whole wheat grain atta with fibre - which is important for a healthy digestive system. t’s all about the taste! 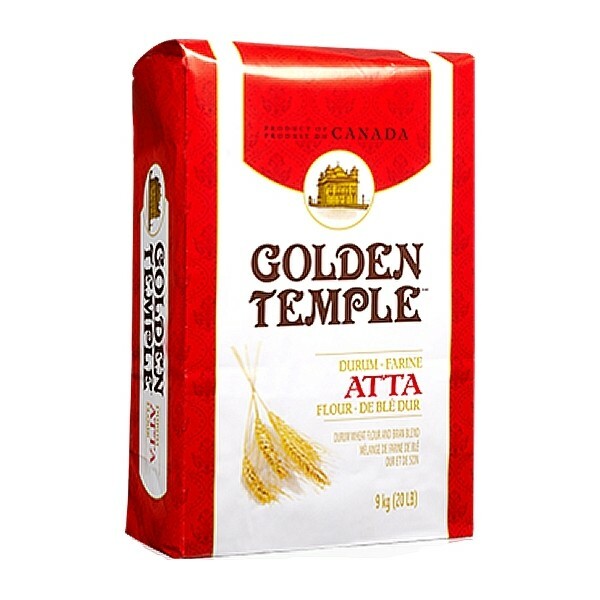 Ideal for daily use and easy to knead and roll, Durum Atta Flour Blend makes rotis that puff to perfection. But don’t stop there. Try it for other light-textured breads and for a great twist on naans. 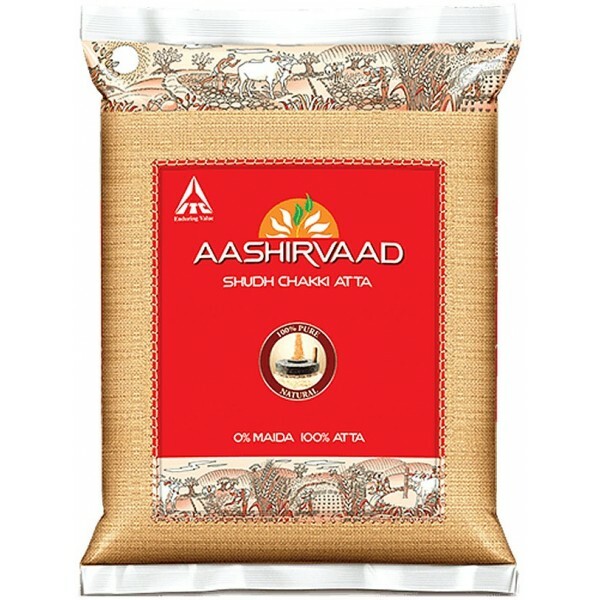 Aashirvaad Atta is made from the choicest grains - Atta with multi grains: Wheat, Soya, Chick Pea, Oat, Maize, Psyllium Husk. 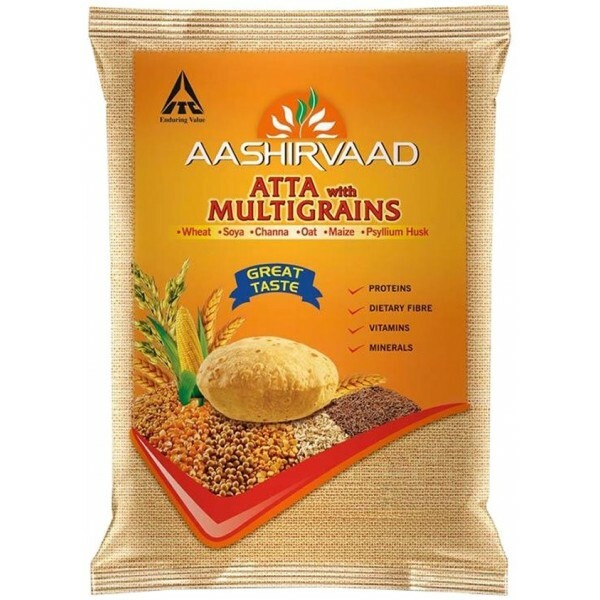 Aashirvaad Whole Wheat atta is made from 100% MP Sharbati wheat that is harvested exclusively in 7 districts of Madhya Pradesh. Here, the golden fields are sun-kissed to perfection and showered by the right amount of rain. Aashirvaad Select is prepared to give you the finest, softest and fluffiest rotis you have ever tasted. The best of nature, with every bite! 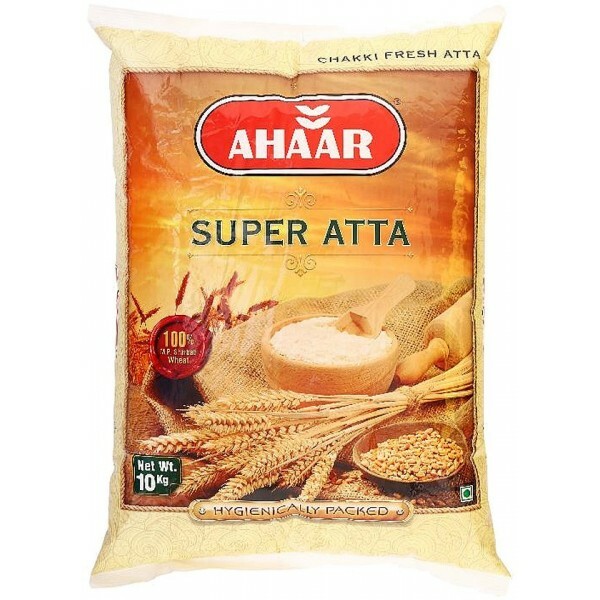 Pack of 5KG. 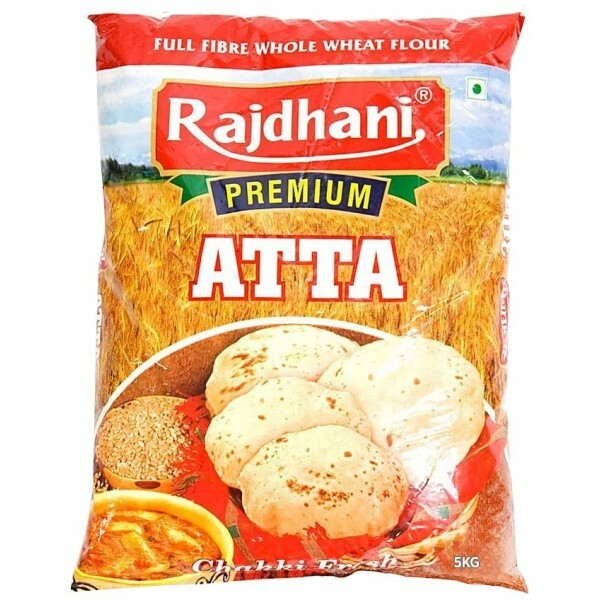 Rajdhani brings to you a distinct quality of wheat flour made out of the choicest grains and processed in the state of the art processing plants.